Chapter 3, Page 27 is up. Snow-by-Night reveals another power to Blaise and Jassart. To see what becomes of her eyes, vote for Snow by Night on Top Web Comics. Katsucon has announced their table assignments. We’re at table E-04, right across from the featured Guests. Brittany prepared this handy map to make it easy to find us. What’s that? A shiny new link to Amya? Yes indeed. 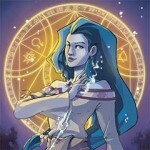 Please check out this brilliant high-fantasy graphic novel. Whoa. That is all I can say about that. 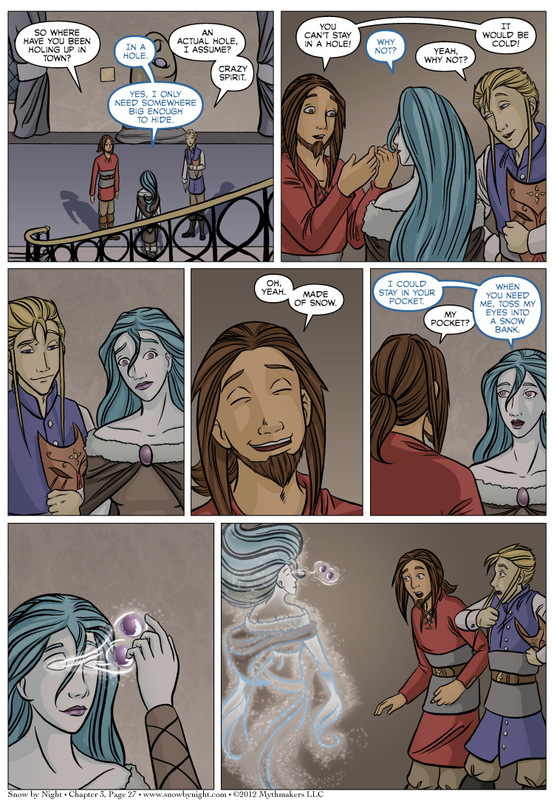 Gah, I am loving this webcomic more and more! I’m sorry, I would comment more, but it’s hard to slow down since I always want to see the next page! We’re up to Chapter 8 now. So a good bit of reading ahead. The entire story is 24 chapters long (assuming my outline holds true).